A few weeks ago my husband and I took our four little kids on a beach themed road trip. We visited beaches along the Texas coastline. We stopped and played on beaches in places like South Padre Island, Corpus Christi, and Galveston Island. Rubbing baby powder on your skin will help the sand come off easily. 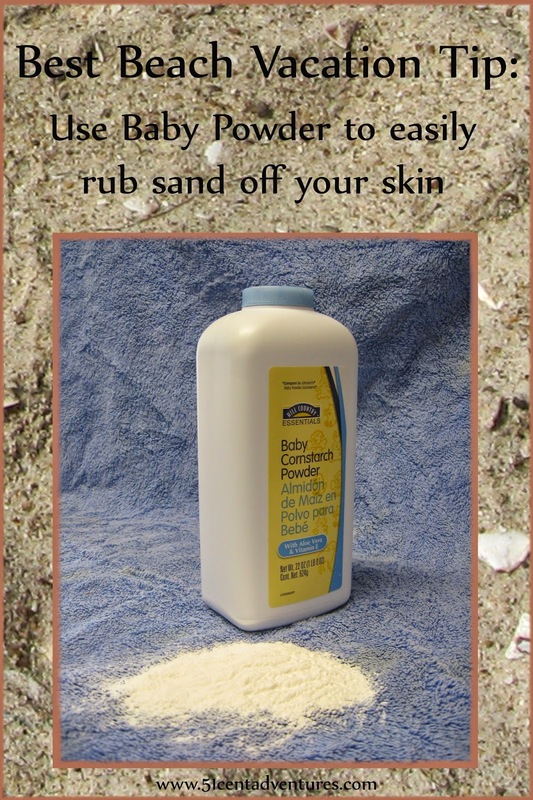 All you have to do is put a small amount of baby powder in your hand, and then rub it on the sandy parts of your skin. The sand will come right off. It's so simple. I tried this out last year when my kids loved playing with our back yard sand table. They'd come back in the house with sand all over their bodies. It would even be in their diapers. I rubbed the baby powder onto their bums to see if the trick would work. I was so surprised by how easy the sand came off. I made sure to keep a bottle of baby powder handy every time they played with the sand table. This year, when I packed for our vacation I made sure that we brought a bottle of baby powder along. I kept it in the car. Every time we came back from the beach my husband and I would take a minute to rub baby powder on the kids. And voila, we have sand-less kids again. If you liked this tip you should stay tuned to this blog for the next few weeks. I'll be sharing other tips from our beach themed road trip. 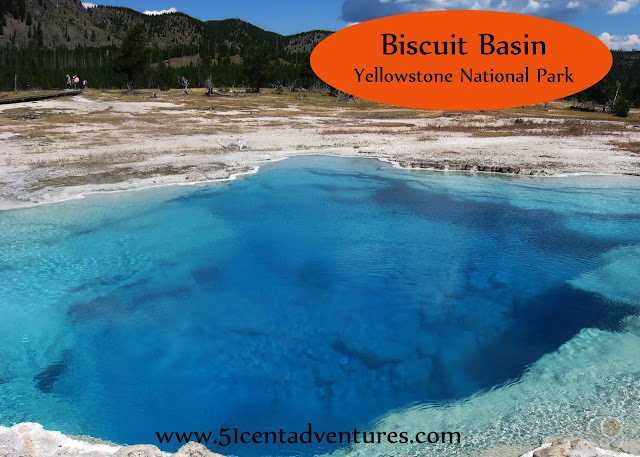 I'll also talk about the different places we visited. Trust me, you don't want to miss these posts. This was one of the best vacations we ever went on - and that's saying a lot.